Bright and Breezy Crafts: It's Spring! I love the colours in this fresh, spring card. 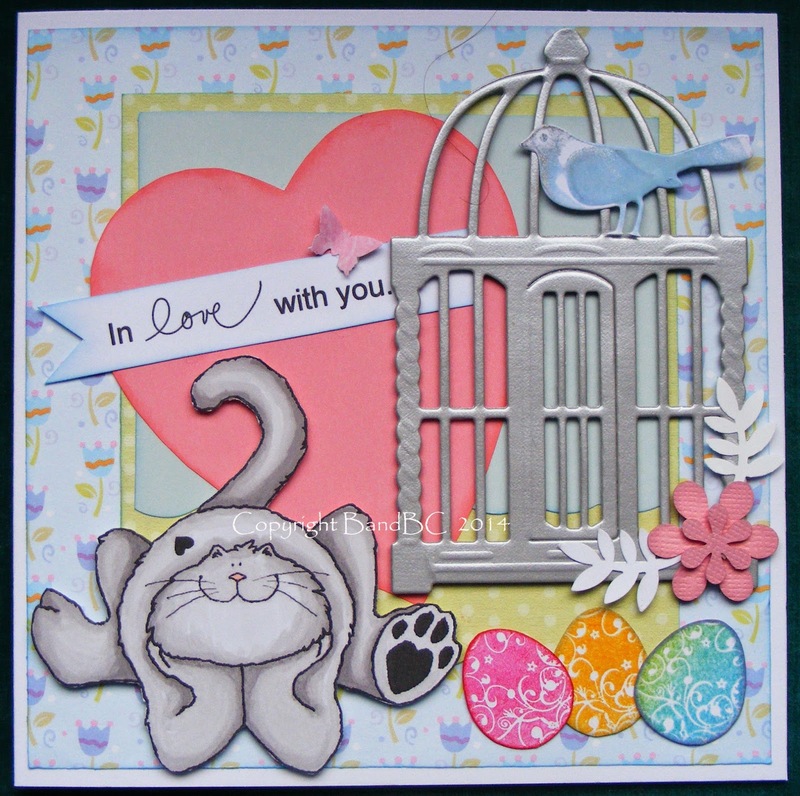 I got the "Lovesick kitty" image from Eureka, over at Glitter n Sparkle. and I hand-cut the heart. of a magazine... can't remember which one, now. getting round to using them! lol.